DramaWorks Summer Camp at Orchidea International School! Ages: 7-12yrs - intermediate English is needed! 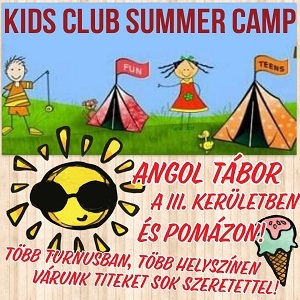 Location: Orchidea International School, 1139 Budapest, Hajdú utca 18-24. Join us for a fun filled, action packed week putting together a theatrical show! Taught by professional native English speaking drama and music theatre teachers from DramaWorks Theatre Company. Students will explore acting skills, improvisation, storytelling, drama techniques and staging which they will use to devise their own plays. They will discover the magic of some of the best Broadway musicals. They will learn a variety of songs and scenes including movement and characterisation. During crafts they make props and scenery for their show. The week will conclude with a performance for parents!